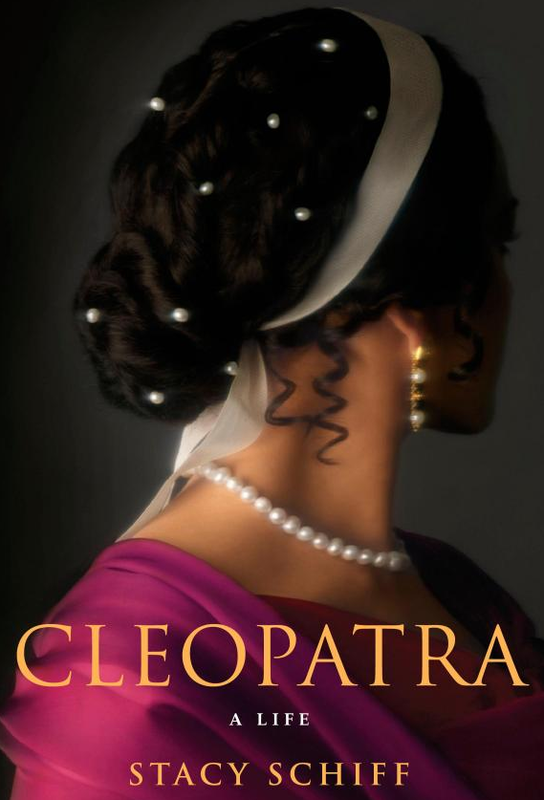 …i just finished cleopatra: a life by pulitzer prize winning stacy schiff and what a life it was! what little we know about cleopatra VII, is gleaned from accounts written by historians plutarch, cassius dio, suetonius and galen. their occupations as historians wasn’t the only common factor, they were also prominent citizens of rome in which case one may be able to surmise their account of the facts as being somewhat slanted. a first rate historical sleuth, ms. schiff fleshes out a vivid portrait of the ptolemaic queen using bits and pieces of information culled from farming records, economic accounts, cultural customs and traditions, that corrects our vision of cleopatra. throughout repeated re-telling of her life, much is overshadowed by an overblown accounting of her sexuality and her relations with two great leaders of rome, when in fact, little is made of her brilliance and capability as a leader of one of the richest empires in the world. an empire that didn’t get rich and stay rich without an overachiever like cleopatra at the helm. groomed for statehood since birth, she single-handedly drove alexandria to it’s full potential making her reign as the last ptolemy king the most prosperous and influential, a legacy completely ignored in favor of carnal scandal. octavian was already insecure going up against marc antony, a mere boy compared to thirty plus years of military tempered maturity. his ascendancy was a struggle from the very beginning and one can only begin to imagine his dread at confronting a woman who had won over not one but two great men of rome… his need to conquer her would have been absolute without room for sway and to be able to parade her in chains before the citizens of rome would have been a jewel in his illustrious career and yet even in that respect, cleopatra had the final say. it’s a thought provoking take on one of the most famous women in history and fresh in it’s ability to deconstruct and debunk a lot of the mythology surrounding her. i ardently recommend it to anyone with a love for biographies and ancient history.